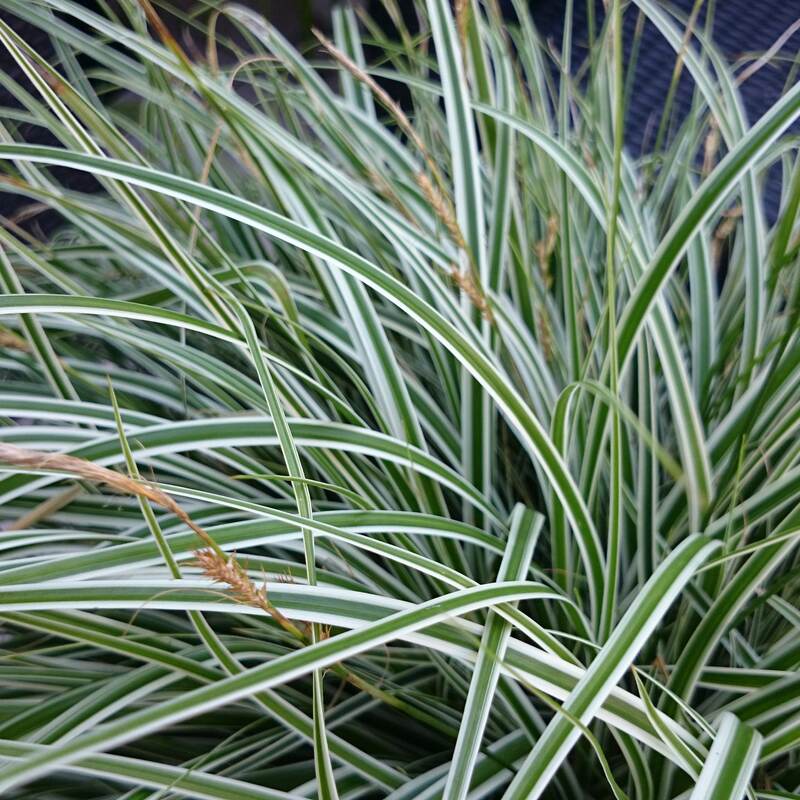 Stylish grass-like foliage with distinctive green and white variegation, forms a low slowly speading evergreen clump. 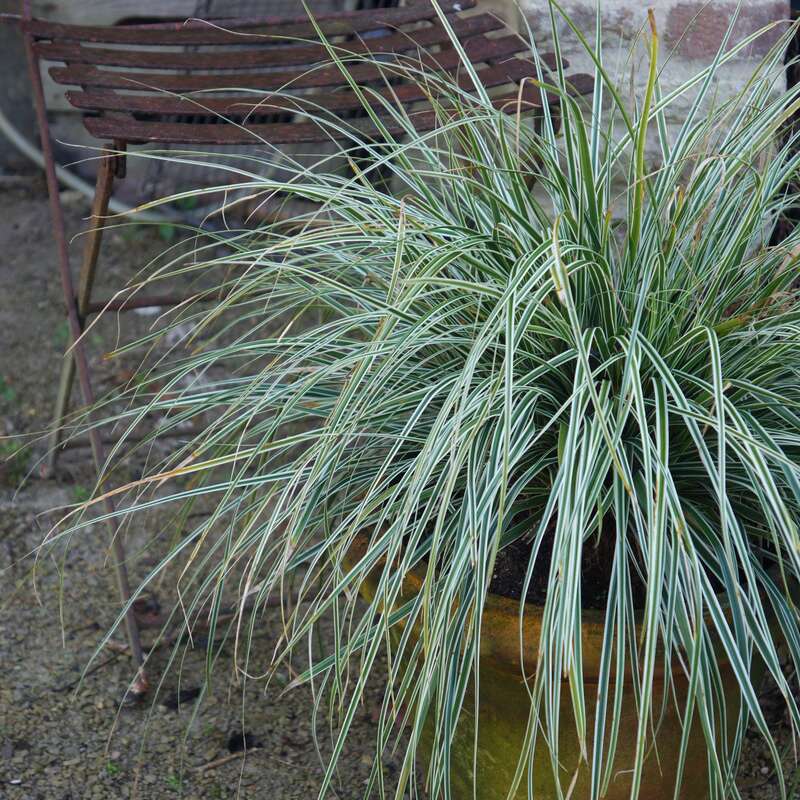 An attractive addition to a patio pot, it can also be used to great effect towards the front of the border contrasting well with other grasses and perennials. 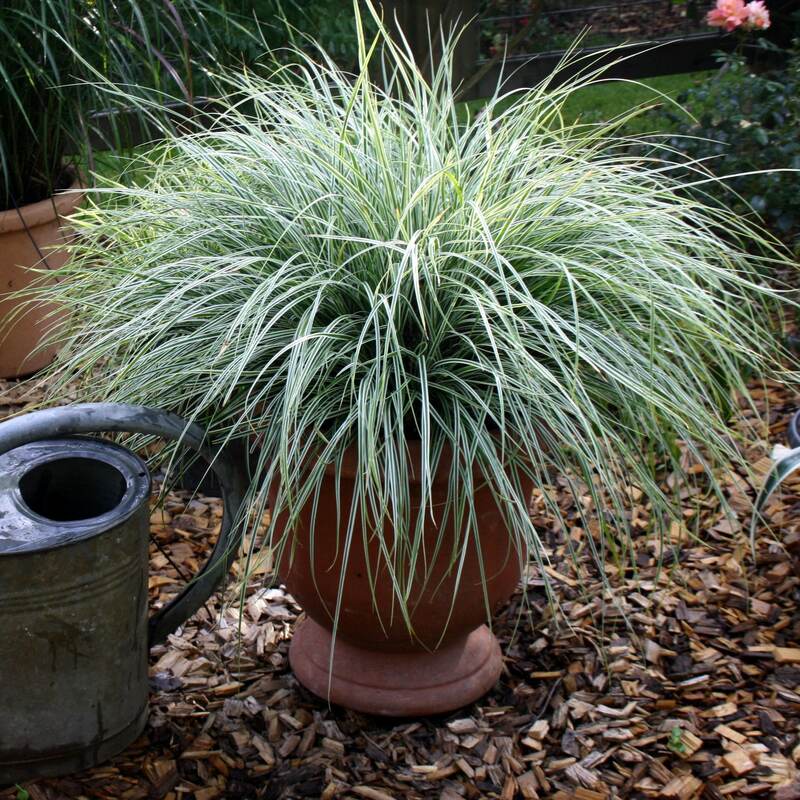 Hum, this has not died but not grown by a cm in a year!